In MBC Wednesday and Thursday drama The Moon Embracing the Sun, the imperial guard Woon is a character that well loved by many viewers. On February 14th 2012, Song Jae Lim published his own photos on Facebook. 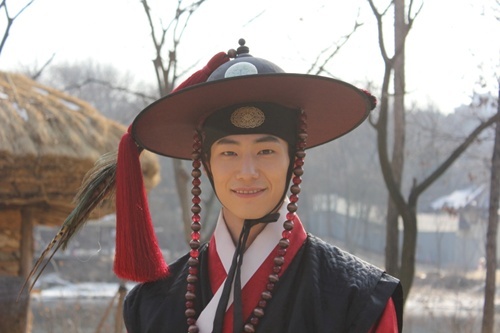 The photos on Facebook is the Song Jae Lim who wore hanbok at the filming set of The Moon Embracing the Sun, leaving a deep impression on the fans, and won applause. On the other hand, Hwon (Kim Soo Hyun) is suspicious on the cause of death of Yeon Woo, and begins a formal investigation. The memory of Wol (Han Ga In) gradually restores, the increasing depth of the story plot has attracted attention of audience. Visit Song Jae Lim Facebook page at https://www.facebook.com/official.sjl.